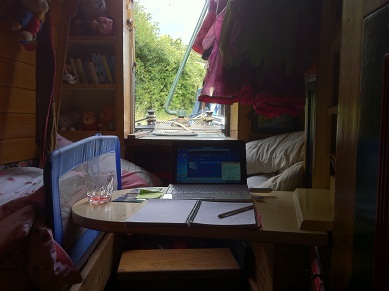 The Real Life of a Narrowboat Wife: Do You Know Who I Think I Am? Following my earlier blog about How to Sell a Boat on the Inland Waterways I thought I’d share a bit more about who we are at Boatshed Grand Union. In fact it seems that Phil loves canal boats and boating as much as I do. I have lived aboard for twelve years and share a 70 foot narrowboat with my husband and two young daughters. My daughters were born on board our boat and sleep in a gorgeous boatman’s cabin all painted with traditional roses and castles. At Boatshed Grand Union I help with the administration, blogging and social media networking. 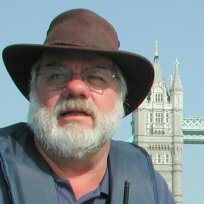 I work for a number of other boating related businesses doing similar work and I’m also a freelance writer. If you’re considering living aboard you may enjoy a series of blog posts I wrote about living on a boat. Both Phil and I write articles for the Boatshed blog. If you enjoy our blog you may like to subscribe by email or RSS (links are near the top of the side bar). Alternatively our contact page http://grandunion.boatshed.com/contact.php has links to our Twitter feed and Facebook page. If you follow us on Facebook and Twitter you get weekly blog updates, recently reduced boats, new listings and other boaty news. We have recently welcomed Adrian Ezard to the team as a broker. He will be working from Gloucester and covering the Severn, Avon and Sharpness Canal. His work includes meeting boat owners on board and taking up to 80 photos and videos of each boat. Either Phil or Adrian accompany all viewings and communicate all offers to the seller. We handle the sale from start to finish, keeping you informed throughout. We also work closely with Brian and Johannah Duckett at Boatshed London. 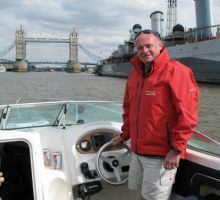 http://london.boatshed.com/index.php If you are buying or selling a boat in London - in St Katherine's Dock, South Dock Marina, Limehouse Marina, Chelsea Harbour, Poplar Marina, Gallions Point or any of the other London marinas or moorings, they would be happy to help you. 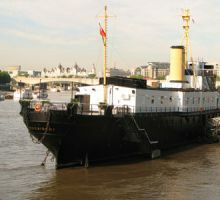 They run Boatshed London from their office aboard HMS President which is moored on Victoria Embankment, close to Blackfriars Bridge. Boatshed Grand Union and Boatshed London are just two local parts of a worldwide brokerage. Boatshed has offices across 10 countries and each one is owned and operated on a licence basis by people passionate about boats. So that’s who we are: boaters who love boats. If you have a boat for sale we’d love to take it on brokerage for you.